Veliko Tarnovo is one of my favourite cities in Bulgaria. I grew up close to it and we always enjoy stopping for a few hours to relax and enjoy the views. 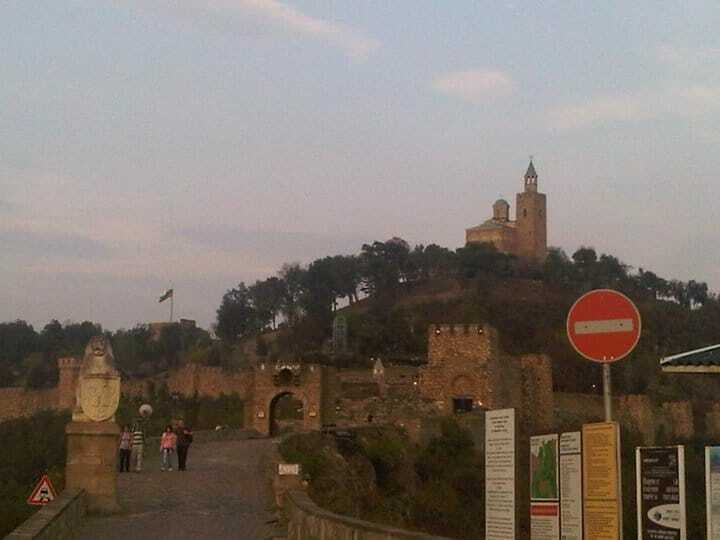 It is a well known tourist stop in Bulgaria and it is frequently visited by tourists especially in the summer when the lights of Tsarevets are on. It is easily accessible by car, train or coach and it takes only 2 hours from Sofia. Veliko Tarnovo is one of the oldest towns in the country. Its history dates back to more than five thousand years, which is proven by archaeological findings. The city is builton the hill so you can see beautiful views and it is the reason why it has played such a significant role over the centuries. The most significant monument of culture in Veliko Tarnovo is the medieval fortress Tsarevets, situated on the homonymous peak, surrounded on three sides by the river Yantra. I haven’t been in the castle since I was a young girl but I have fond memories of me pretending to be a princes. Oh such dreams! The is a church at the top called St Petka and it had various economic and administrative buildings surrounding it. Apparently it was not a closed fortress but rather a real medieval town. 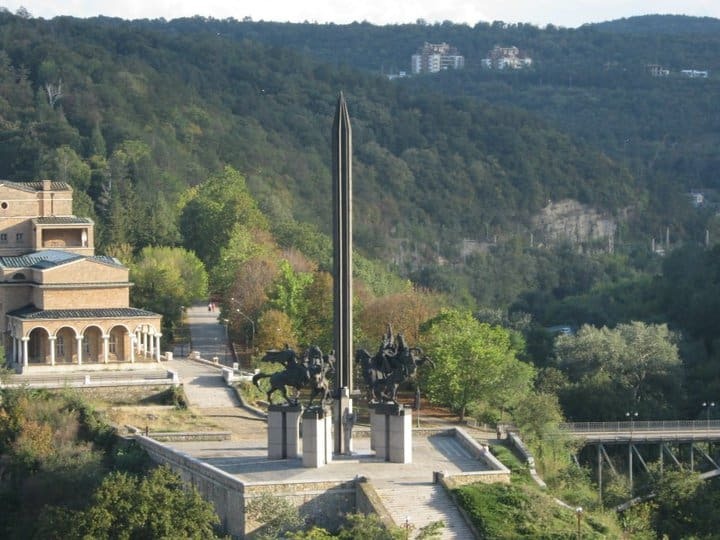 Veliko Tarnovo was an attractive place for the Bulgarian intellectuals. The town was also a center of the First Revolutionary Region during the April Uprising of 1876 against the Ottoman dominion. 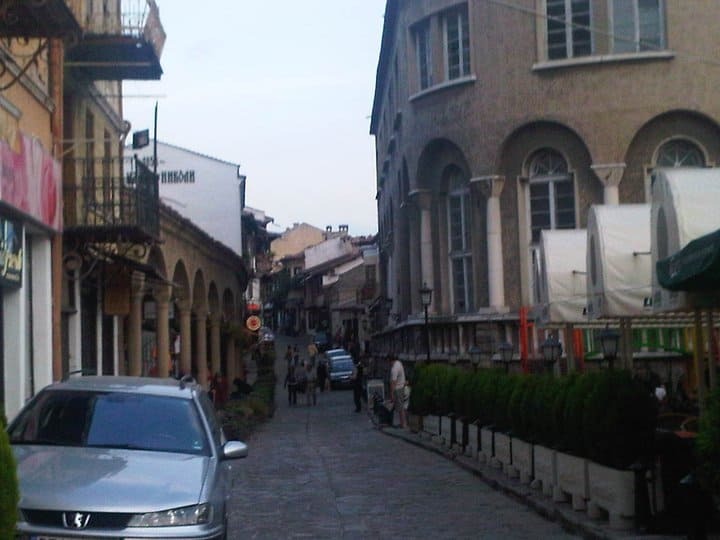 Even today in the old city you can see the buildings well preserved from the Ottoman times. One place I haven’t been and I would love to visit next time I am in Bulgaria is Nikopolis which is apparently a Roman and Early Byzantine town, founded by the emperor Trayan in 106 AD, only few miles from Veliko Tarnovo. If you have plans to visit Bulgaria then I would strongly recommend for you to stop by Veliko Tarnovo as you will not be disappointed. Further west, Belogradchik was another site well worth visiting.